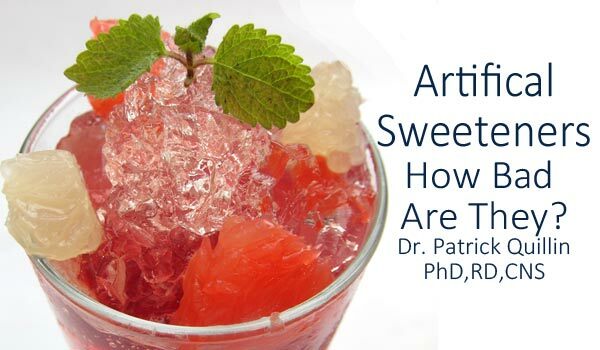 Do artifical sweeteners affect diabetes? Artificial sweeteners or sugar substitutes are synthetic chemicals that offer the sweetness of sugar to your food without adding calories. Though, generally thought as safe or even healthy, consumption of these food additives for long period of time is found associated with weight gain, impaired glucose tolerance and development of type 2 diabetes. In diabetes, people suffer from abnormal blood sugar control due to lack of insulin and/or insulin resistance. As, artificial sweeteners don’t affect blood sugar levels, these are considered “free foods” (with < 20 calories or < 5 gm of carbohydrates) on a diabetes exchange and considered safe alternatives to table sugar for diabetics. Foods made with artificial sweeteners are marketed as “light”, “low calorie”, “low carb”, “sugar free”, “diet foods” or “health foods”. Though, substituting sugar-sweetened foods with artificially sweetened ones may look like a healthy choice, these products have their downsides too, especially when these are consumed regularly and in large amounts, to shed weight and prevent long-term chronic diseases like diabetes. Research suggest that there is a “rebound” effect, where people misperceive sugar-free foods as healthy and consume more of an unhealthy type of food, which leads to weight gain and increased risk of chronic diseases such as diabetes and heart disease. In a 2009 study of 6,800 subjects a positive association was found between consumption of diet drinks and metabolic syndrome (high blood sugar, cholesterol and blood pressure levels). Infact, this study states that daily consumption of diet soda may increase risk of type 2 diabetes by whopping 67%. Artificial sweeteners aren’t “metabolically inert” and may interfere with normal metabolic processes and body’s ability to control glucose levels in the blood. Regular consumption of these can make body’s cells resistant to the insulin, which leads to both elevated blood sugar and insulin levels. Besides, changes in body’s response to sugar with exaggerated post-meal glucose levels, in high habitual non-caloric artificial sweeteners (NAS) users the gut peptides, which prevent the surge of blood glucose levels after eating and drinking were found impaired. This adds on to the increased risk of developing type 2 diabetes. In 2014, another study from Israel found that artificial sweeteners (saccharin, sucralose and aspartame) raised blood sugar levels dramatically and impaired blood-sugar tolerance by changing the microbiotic makeup of the intestine.Can your doctor cure diabetes? There is a reason for these bad effects of artificial sweeteners. In nature sweetness of any food represents presence of calories in it and sweetness intensity is directly proportional to energy present in it. Diet foods and artificial sweeteners trigger weight gain and increase risk of diabetes because the sweetness in them fools body’s metabolism into believing that more calories are being consumed, when they are not. This explains the change in body’s insulin response with artificial sweeteners, as physiologically artificial sweeteners react with receptors on the tongue to give sensation of tasting something sweet, this detection triggers brain and gut to stimulate pancreas for releasing insulin to control blood sugar levels, but in this case that glucose spike never comes, so the whole process of blood glucose control through insulin release gets disrupted. As a result, a lower caloric artificially sweetened drink actually triggers a greater metabolic response than a higher caloric natural drink. In natural foods sweetness and calories are matched, so calories metabolised are registered by the brains reward circuits. Whenever, there is a mismatch in the calories and sweetness, food fail to trigger appropriate metabolic response and brain’s reward circuits fail to register consumed calories. Thus, this unpredictable result of artificial sweeteners on blood glucose levels, besides causing bad effects on health can even trigger unhealthy eating patterns. Studies suggest that artificial sweeteners interfere with body’s innate ability to stop eating when it is full. The mismatch of calories and sweetness in artificially sweetened products, trigger your brain and gut to seek those calories elsewhere, leading to overeating and weight gain. Also, artificial sweeteners are much sweeter than table sugar, so over-reliance on these artificially sweetened foods distorts the taste buds to desire much sweeter foods and tongue to perceive naturally sweetened foods such as fresh fruits and honey as unappealing and bland. Though, in U.S. five artificial sweeteners are approved by FDA as human food additives. Concerns over the safety and long term health effects of these, made FDA to set “acceptable daily limits” of consumption for each of these i.e. saccharin and sucralose – 5 mg per day; acesulfame K – 15 mg per day; neotame – 18 mg per day; and aspartame – 50 mg per day. However, if you consume only artificially sweetened food products, you may cross these acceptable daily limits easily and consume these synthetic sweeteners at a level that are not “safe”. All artificial sweeteners are not same chemically and structurally, so different sweeteners will have different metabolic effects. For example, sugar alcohols (erythritol, isomalt, lactitol, xylitol or other sugar alcohols) are reduced-calorie sweeteners with about half the calories of table sugar but food manufacturers are allowed to label and market foods containing these sugar alcohols as “sugar-free” or “no-added sugar”. This means even if product is labelled sugar-free, it has some amount of sugar and will affect blood glucose levels. Besides, artificially sweetened processed foods are often high on “empty calories”, as these are nutritionally poor, full of trans fat and refined carbohydrates, so even with sugar-free labels these are not a healthy addition to your diet. There are other concerns regarding the safety of diet sodas, including phosphoric acid (which creates a more acidic environment in the body), coloring and flavoring agents of questionable safety, residue of aluminum and plastic BPA from the containers, etc. Some experts today are recommending avoidance of all or most carbohydrate foods, including fruits, whole grains, and legumes. These whole foods have a near flawless track record in scientific literature of enhancing health. Fruit improves health. Fruit juice is more concentrated in sweets and missing the “matrix” of the fiber. Eat foods in as close to their natural state as possible. This guideline means that fruit is good for you, but diet soda is not. In the long-run, to lose weight or keep blood glucose levels stable, you must aim to lower the consumption of artificially sweetened foods and eat balanced diet predominantly based on vegetables, fruits and whole grains and using natural sweeteners (Stevia, Truvia, Monk Fruit) as an “occasional” treat.